Microsoft has started rolling out an update to Windows 7 that will notify existing users about the end of the support. 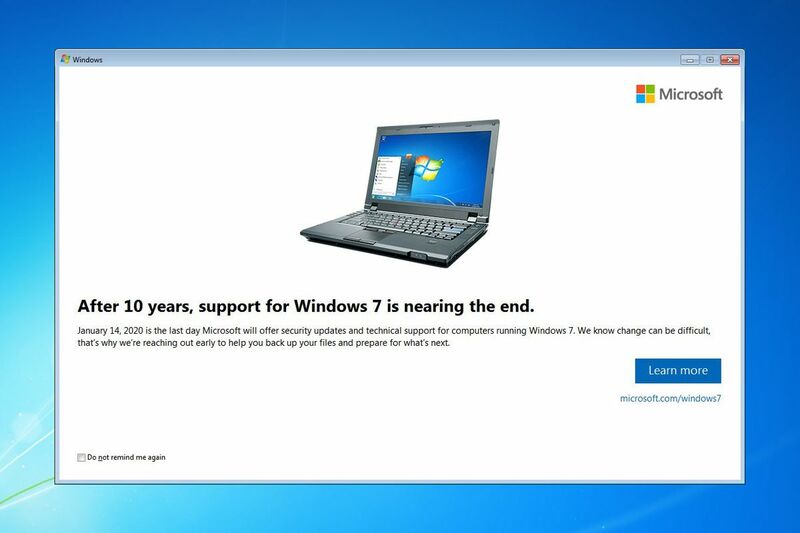 The software maker is stopping support of Windows 7 on January 14th, 2020, and it’s now starting to warn about this cutoff date. Microsoft is using a notification to warn Windows 7 users, similar to the prompts the company used to get people to upgrade to Windows 7.